Some people think that a woman attempting to park is about as safe as allowing a monkey to play with a hand grenade; Automologist MAC found one mall in China that apparently thinks so too. 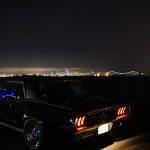 Throughout the world, there is an increasing number of carparks that offer “women only” parking areas, mainly due to safety concerns for the lone lady returning to her vehicle. 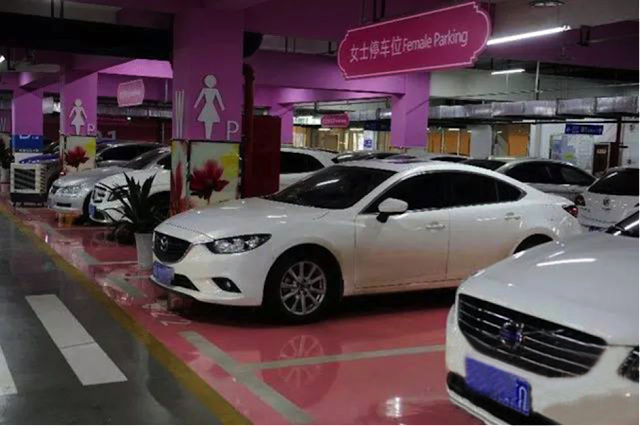 Now, though, a shopping centre in China is being labelled as sexist after netizens noted that they are providing extra wide, pink in colour parking spaces that are surrounded by flowers pots and floral prints to boot. 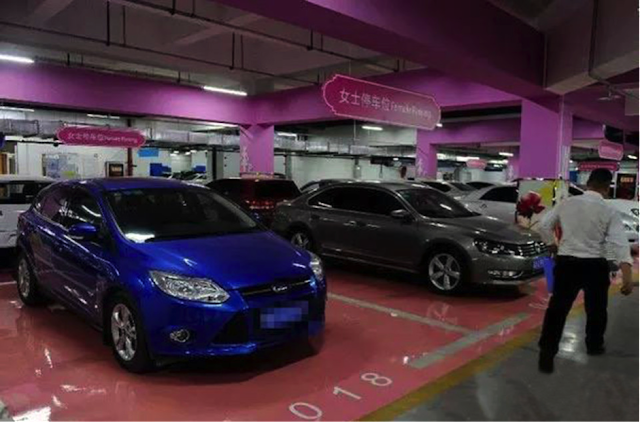 The feminised parking spaces in the subterranean parking lot of a mall in China’s Shaanxi Province, resplendent in gloss pink paint and with potted plants, easily stand out from the rest of the parking spaces. But if that isn’t girly enough and you still had doubts about the intended users of the lots, then the management has painted large symbols akin to those that normally denote a ladies’ loo on the concrete pillars beside them. According to reports doing the rounds on social media, there are but twelve of the ‘sexist’ lots in the 2000-bay car park lot, which is of course a very small percentage. It is not the ‘girly’ colour scheme or the floral prints that is making netizens angry, though; it is more about the size of the parking spaces, which are about 50% wider than normal lots. 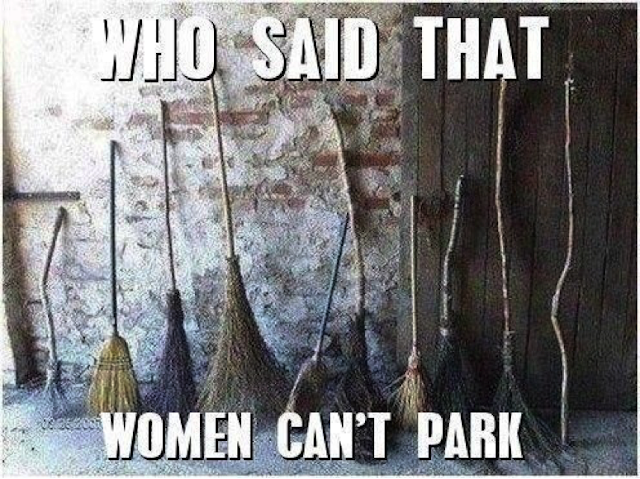 The increased size is causing people to believe that the mall management believes that women need a greater space to park in and thus the suggestion is that women can’t park. Now, seeing as my editor is a lady and my mother reads this blog, I wouldn’t for a moment suggest that this is in fact the case. Not surprisingly, many of the town’s lady folk who frequent the mall in Shaanxi think the spaces are a great idea that enhanced their overall shopping experience. 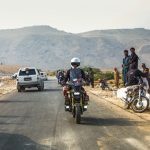 This was especially the case for women with families who claimed that the extra space was great for getting the brood in and out of their vehicles. Unfortunately, some of those interviewed about the spaces made comments about “not having to worry about clipping other vehicles now” and “how the wider spaces allow for unskilled drivers to park more easily” which obviously does not help the ladies’ cause. For me, wider spaces are great but what about when I take my family to the mall without my spouse? How about making family zones and painting them with Thomas the Tank Engine? Then and only then will I believe that they are not a form of discrimination, but a form of care and consideration; sorry about that, mum.